Tia, can you briefly walk us through your story – how you started and how you got to where you are today. I grew up on the West side of Chicago during the 80’s when there was plenty of danger around, but it was still safe for us to walk around our neighborhood. Growing up, I was exposed to crime and drugs daily, but my family made sure that I knew the importance of having an education. I knew from a young age that I wanted to become a Teacher. I would often help a few of my friends with their homework after school. I graduated as the Salutatorian of my class at Spencer Elementary School and went on to continue my education at Lane Technical High School. While earning my high school diploma, I worked at T.J. Maxx at North Riverside Mall 5-6 days a week. Although it was difficult, I wanted to help my Mom by buying my own necessities, and as a result, I learned resilience, perseverance and commitment extremely early. After graduating from Lane, I moved to Carbondale where I studied Elementary Education and Spanish at Southern Illinois University. This is where my love for children flourished! At the end of earning my Bachelor of Science degree, I began working at a day care center across the street from my apartment. I never had a desire to work with small children, but I figured it would be great experience. I absolutely loved the job and continued working there before moving on to teach after-school classes at a community center near the campus. As a part of my scholarship to Grad School, I taught a Freshman English class at the University, while pregnant with my first daughter. When everyone thought I would give up and move back home, I proved them wrong by graduating with my Master’s Degree in Curriculum and Instruction with an emphasis in Reading, while being a single Mom. After graduation, I decided to move back to Chicago to do what I always knew I was destined to do….Teach! I began teaching in a school that was not too far from my childhood home, so I was able to relate to the students well. After a few years teaching, I was losing my drive to teach, due to the way the school system was heading. My inner city school lacked the basic necessities needed to provide our students with the best possible education…The education they deserved! I thought that I could make a bigger impact if I became a principal, so I earned a Master’s degree in Educational Leadership from the American College of Education. Learning more about the “behind the scenes” part of being in leadership in a school district, made me realize that there was another path that I needed to make for myself that did not involve allowing others to make decisions for the students I served. One dream of mine was to have my own school. One night as my husband and I sat in the basement of our home thinking of a master plan to save the world, we came up with, The Brown House Experience. TBHE is a non-profit organization that provides at-risk children and their families with engaging, interactive experiences that enhance their social, emotional, behavioral and educational skills. Our goal was to become a one-stop shop for enhancing the lives of the children that need it most. 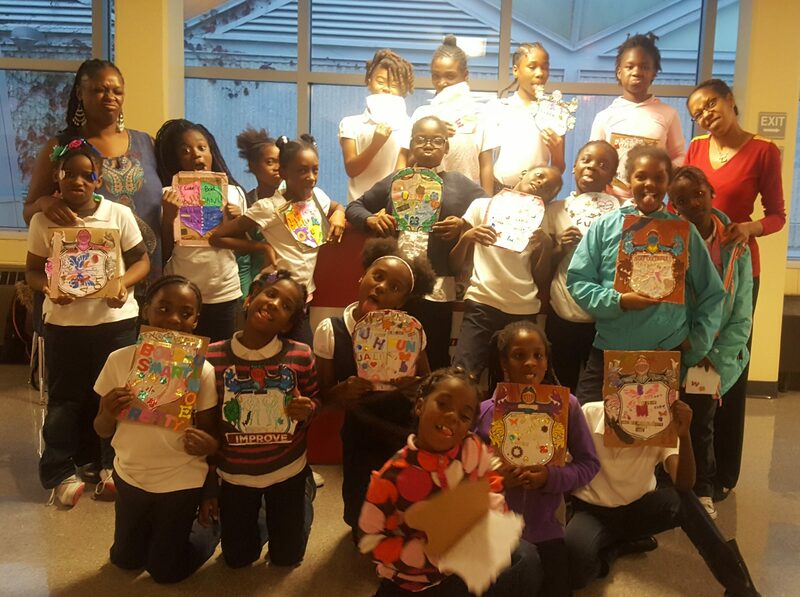 We started a free after-school program at our school, Brilliant Brown Beauties, that allows any young lady to participate, but targets girls in 3-8 grade that have difficulty making positive choices at school. Our first year, we ended up with almost 40 members by June, when our goal was just 20! We take pride in creating unique lessons that teach the Beauties life skills that they will be able to implement effortlessly. 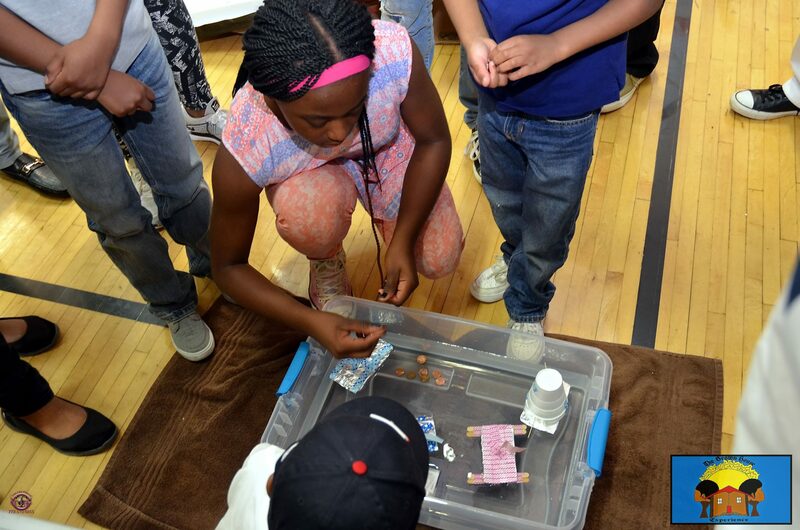 To reach the community, we created hands-on community events that engage the parents and children in meaningful activities that promote collaboration, problem-solving and creativity. We have provided the Chicago land community with 4 community events and the 2 most recent events were absolutely free for the participants! THIS is what I always dreamed my life would be as a teacher! Now, through The Brown House Experience, I have the opportunity to change the lives of children that often don’t have a voice when it comes to their educational experiences. We are always looking for new and innovative ideas to implement. The Vice President and I had the opportunity to attend Air Camp, where we were engulfed in aeronautics for 4 days this summer! 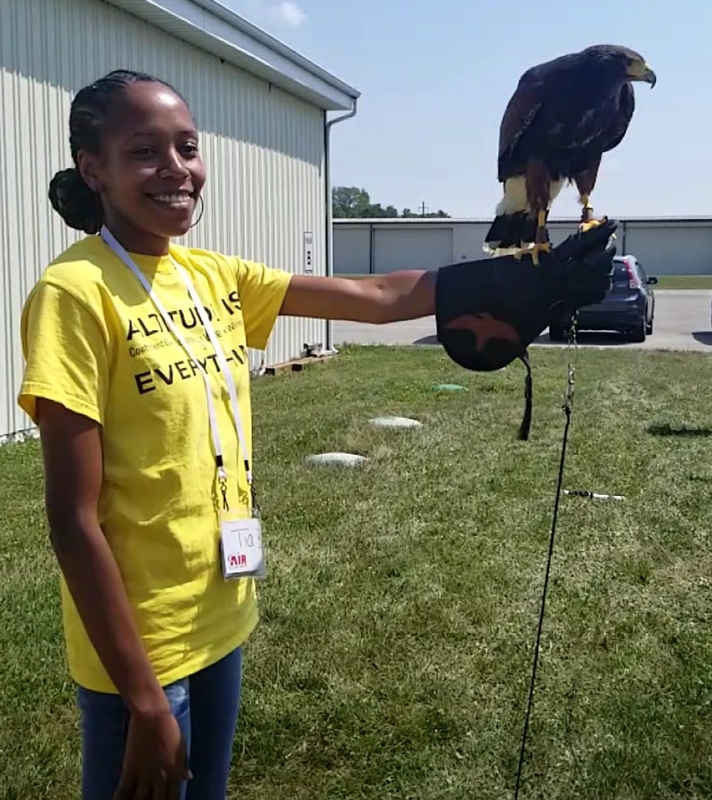 We flew real Piper Planes, disassembled and reassembled lawnmower motors, learned how airplane wings are similar to birds and so much more. We will now be able to implement aeronautics into our lessons and events! We will provide the youth with experiences that will prepare them to be the next leaders of our communities and not just another statistic. My personal goal is to leave a legacy behind that proves that you can grow up in undesirable conditions, yet still become successful! The next step that so many others forget is to come back and help the community from which you came! I cannot forget, because I live it through the lives of my students every day! It has not been a smooth road at all. Besides growing up in a neighborhood riddled with violence, once I made it to Lane, I realized that I did not know many of the basic skills in Math, needed to function at such a high level. I was forced to teach myself a lot of the Math skills I lacked. This was quite difficult while working 5-6 days a week and traveling for 1.5 hours to get home each night. I found myself studying on my lunch break, on the train and 3 bus rides I took to and from work every day. I learned early on that hard work, pays off. I did whatever necessary to keep up with my classes and to stay on top of my duties at T.J. Maxx, where I eventually earned the Front-line Supervisor position my Freshman year of college. The job was available to me whenever I came home from college to visit. That was a blessing that proved to me that the energy I put into the atmosphere, would definitely come back to me. The biggest struggle to get our non-profit off its feet started with funding. Since we were considered to be a new organization, we found it quite difficult to identify funding sources to help support our programs. We relied solely on our personal funds and donations from our friends and family. 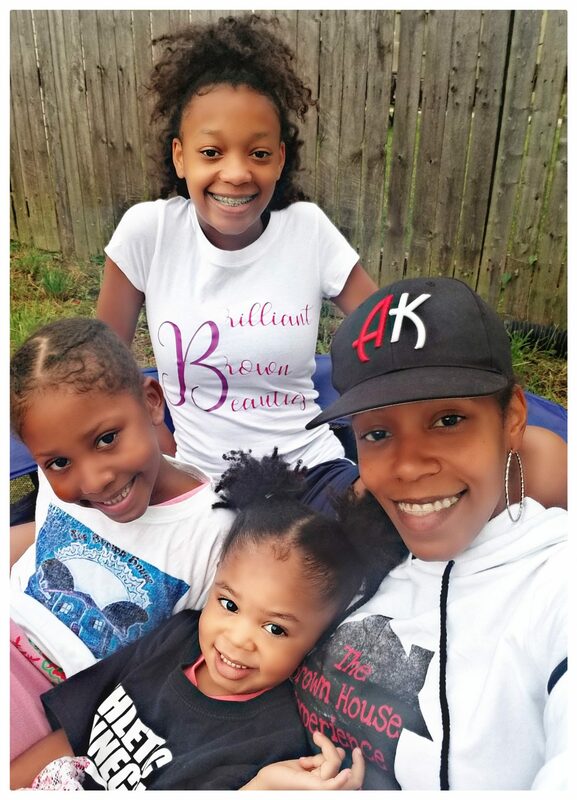 Many times, my husband and I had to decide what we could afford to purchase for our own 3 daughters, in order to still provide free events and programs for the community. We made sure to explain the purpose behind what we were doing with our children, to be sure that they knew that this was a family business, but its goal was to help the community. Thankfully, our children were on board to do whatever necessary to help us achieve our goals and to give back. I’m sure it helped a little that they enjoy the hands-on events and program activities just as much as our guests! Due to some of our after-school participants being considered behavior problems, we often have to think outside of the box to create lessons that will make children that rarely experience positive situations, want to change their thinking and actions in order to better their futures. Many of our participants do not have the ideal situations at home, so they often act out in school as a result. To help us better monitor their behavior in class without going crazy trying to juggle our own classrooms as well as their progress, we created Behavior Management surveys for the teachers to complete weekly. We began keeping data on their state test scores, classroom grades, as well as their behavior. This helped us better manage the data in order to put our main focus on up-to-date strategies that can be implemented to keep the children we serve, engaged and willing to learn. Regardless of the daily challenges I face, I will remain steadfast in my quest to enhance the lives of our youth! So, as you know, we’re impressed with The Brown House Experience – tell our readers more, for example what you’re most proud of as a company and what sets you apart from others. health, culture and hands-on experience. We provide girls in Kindergarten-8th grade with an after-school program called, B.B.B. (Brilliant Brown Beauties). The B.B.B. targets girls that have difficulty displaying positive actions in school. We engage the young ladies in weekly hands-on workshops with topics that include building cultural awareness, self-confidence, worth, academic scholarship, social skills and behavior management. The Beauties made gains in managing their behavior, which has resulted in increased gains on the state assessments, as well as their classroom grades. We are gearing up for our third year and planning to expand to include 1 more school for our Brilliant Brown Beauties after-school program and starting our male program, Brilliant Brown Beaus. 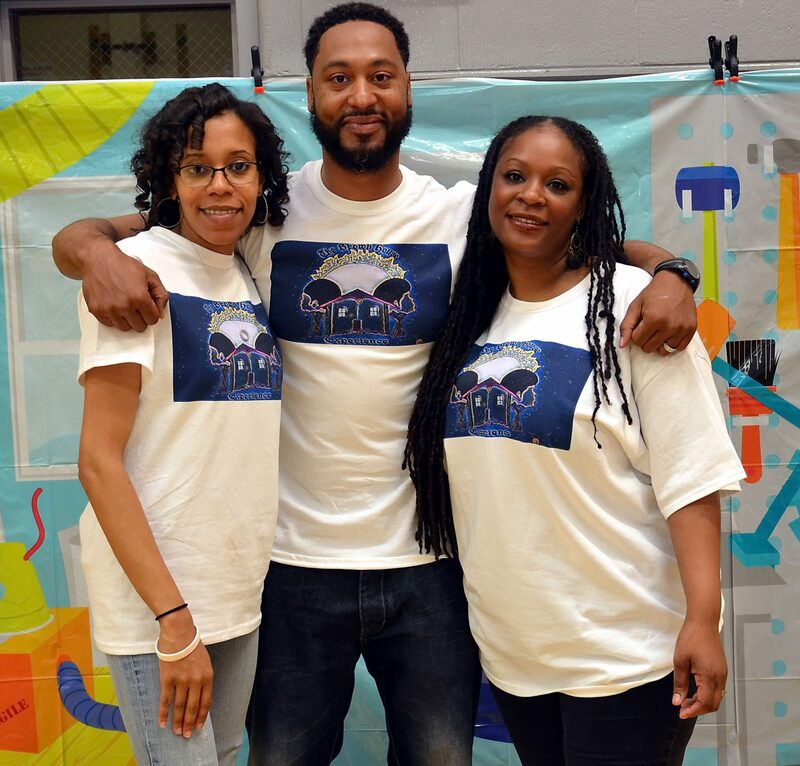 Our organization is also deeply embedded in providing inner-city neighborhoods with community events that promote collaboration, problem-solving and creativity among parents and children. 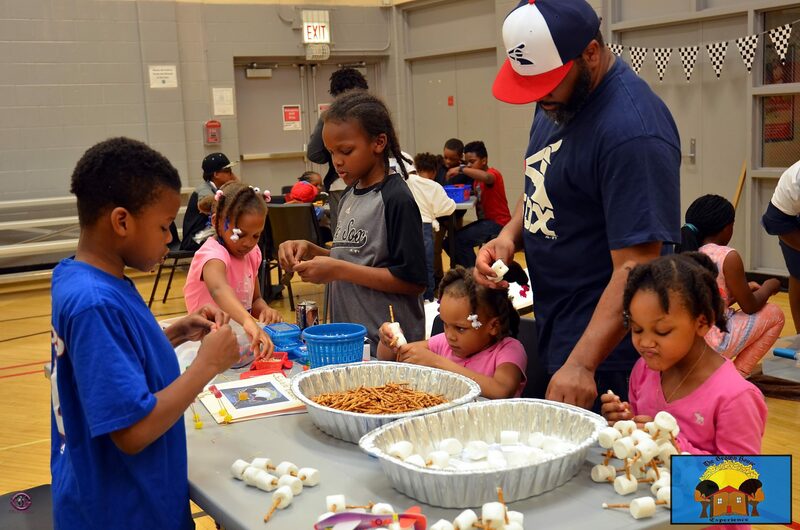 To date, we have provided the Chicago land community with a Daddy-Daughter & Mother-Son Date Night, Urban Engineering Night, Popsicle Stick Make and Take and Fitness Night. These unique events engage parents and children in Science, Technology, Engineering, Mathematics, Art and Fitness stations. The parents are encouraged to work with their children to complete the tasks that range from canvas painting to Zumba, to engineering tech stands with Popsicle sticks. Since my husband and his brothers started Athletic Konnection, a non-profit organization that provides youth with sports and mentoring, we thought it would benefit more students to work together on our recent free Fitness Night. The children and parents were fully engaged in 5 stations that included Boxing, Basketball, Zumba, Quarterback Skills & Hip-Hop Dance. The community events have been a huge success and have given over 200 families an opportunity to create, dance, eat and engage in a fun and safe environment. The Brown House Experience is most proud of being one of the first organizations to host free community events in the inner-city of Chicago. 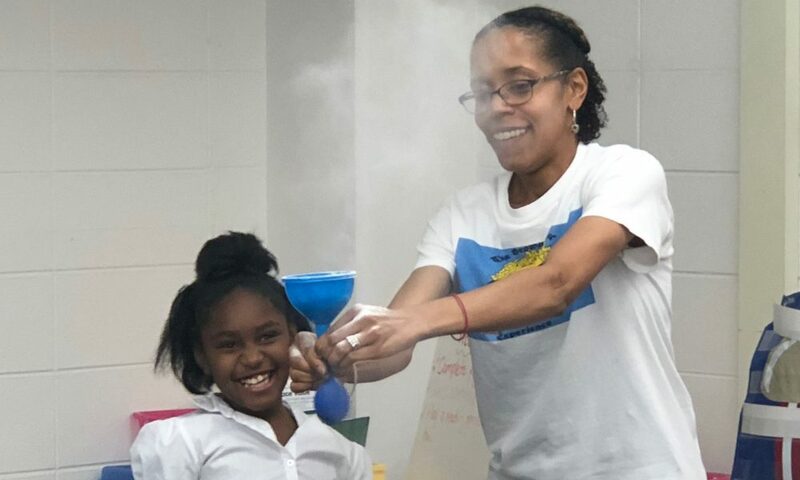 Our events promote the engagement of parents and children in hands-on stations, geared to enhance skills that are not being offered in many of the inner-city schools, like Science, Technology, Engineering, Mathematics, Art and Health. We’re exposing children to life skills that can be easily applied in multiple situations. Many organizations hand pick participants and prefer to enlist students that are considered “good”. What sets us apart is that we target those students that do not meet the requirements to be in most of the other programs. We want the students that have the academic, social and emotional issues. We have proven that with the proper guidance and support, ANY child can become a positive force in our society. Hopefully, our upcoming fundraiser will equip us with the necessary funds to make this year’s events even better! We will continue to pick up the slack by providing the students that need it most with opportunities to prove society wrong, through The Brown House Experience! In my opinion, the best part about Chicago is that it is the cultural mosaic of the Midwest. You can walk around downtown and see people of many different races and ethnicities. What I dislike about our city besides the disproportionate levels of unsolved crimes in the black and brown communities, is the racial disparities in our school systems. I have had the opportunity to visit many schools and neighborhoods in more affluent areas of our city, and most, if not all of those schools have up-to-date technology, books and resources. 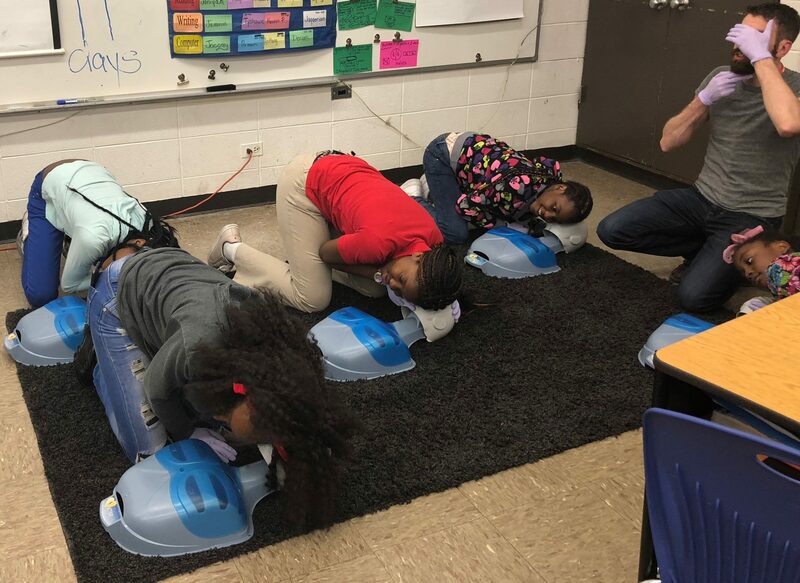 Many of the schools in the inner-city struggle to get funding for even basic necessities, like current books, technology for all of the children, and even resource classes with permanent teachers. The few programs that are offered after-school often cater to the “good” students, those that receive decent grades and rarely have behavior issues. What about the children that have yet to learn how to express their emotions, or those that only receive educational support at school? I think if we put an equal amount of money and resources into the schools and communities that serve black and brown children, it will result in less violence and a more enjoyable city life for everyone. Luckily, I’m not one to sit around and wait on things to change! I’ll do my part to make the changes myself!